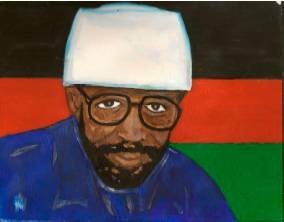 Join the Emergency 30-Day Campaign: Release Russell Maroon Shoatz from Solitary Confinement! The subject matter of Maroon’s book ranges from the fraud of the US prison system to the lessons we can learn from the Black liberation struggle of the 1960s and ’70s to questions of revolutionary theory and organization–including a deep concern about the need to combat patriarchy and establish an ecologically sustainable socialism. You can order it for $20 from PM Press by visiting their online store here. Everyone who reads this volume will come to know a man who has managed to remain in touch with the world and with contemporary culture despite being in solitary confinement for so many years, an achievement that alone would be remarkable enough. Still more remarkable is that Shoatz refuses, as he composes these essays, to be satisfied with easy or superficial analyses. His thinking is deep and complex, challenging his readers in creative and intelligent ways. On April 8, 2013, Maroon’s attorneys sent a “Demand Letter” to the authorities at the Pennsylvania Department of Corrections calling for his release from solitary confinement. 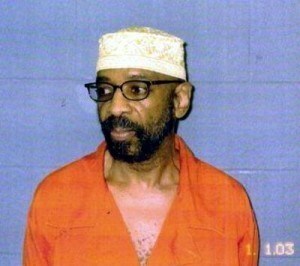 The Campaign to Free Russell Maroon Shoatz is organizing an emergency 30-day campaign (April 8 to May 10) of calls, letters, and faxes to DOC Secretary John Wetzel, as well as to the superintendent of the prison where Maroon is presently incarcerated. Please join the campaign. See the “Action Alert” below for more information. Action Alert : Call now to demand the IMMEDIATE release of Russell Maroon Shoatz from solitary confinement! Former Black Panther Russell Maroon Shoatz has been held in torturous conditions of solitary confinement in Pennsylvania prisons for the past thirty years. He has not had a serious rule violation for more than two decades. Maroon’s role as an educator, human rights defender, writer, and critical intellectual of liberation movements is widely renowned. From April 8 to May 10, the Campaign to Free Russell Maroon Shoatz is calling for an intense call-in and write-in campaign to bring pressure on the Pennsylvania Department of Corrections (PA DOC), to release Maroon from solitary confinement and into the general prison population. This is the first major phase of a coordinated political-legal campaign, beginning with Maroon’s attorneys sending a “Demand Letter” to the PA DOC on the morning of April 8, 2013. The letter, outlining the legal and humanitarian reasons why an immediate release from solitary is needed, gives the PA DOC an opportunity to correct the grave injustices being carried out on a daily basis before litigation begins. April 8: Begin flooding the office of PA Department of Corrections (DOC) Secretary John Wetzel with phone calls, letters, and faxes. Send a copy of that letter, or address a similar letter, to the office of SCI Mahanoy Superintendent John Kerestes. If you have contact with media in your area, consider suggesting that they cover this story, including the April 8 – May 10 pressure campaign. Russell Maroon Shoatz (if writing DOC, always put his prison number, AF-3855) has been in solitary confinement for almost 30 years despite the fact that his disciplinary record has been impeccable-without incident for the past 20 of those years. Such “prolonged” solitary confinement is a violation of the United Nations Convention Against Torture, according to UN Special Rapporteur Juan Mendez. It starves the mind of basic social interaction, human contact, and intellectual stimulation needed for proper brain functioning. Other Pennsylvania prisoners with more extensive violent histories and more recent disciplinary infractions have nevertheless been released from solitary and are now held in general population. Maroon is being targeted because of his work as an educator and because of his political ideas; his time in solitary began just after he was elected president of an officially-sanctioned prison-based support group. This targeting is in violation of his basic human and constitutional rights. At age 69, Maroon poses no threat to the physical well-being or running of the Pennsylvania Department of Corrections. His 23-hour-a-day physical isolation in solitary is unnecessary and costly. The American Civil Liberties Union, Physicians for Human Rights, and a growing number of prominent world leaders are calling for an end to prolonged solitary confinement. Maroon’s case is one of the most egregious, politically motivated, and long-standing of the nation’s solitary cases. Maroon has deep roots in Pennsylvania’s Black community, many friends in peace, justice, and human rights organizations, and family members and supporters throughout the State, the USA, and the world. We understand the PA DOC Secretary’s Office and the Warden of SCI Greene to be particularly and personally responsible for the torturous and lethal conditions of solitary under which Maroon is still kept. Maroon must be released from solitary confinement IMMEDIATELY!!! Who is Russell Maroon Shoatz? Russell Maroon Shoatz is a former leader of the Black Panthers and the Black freedom movement, born in Philadelphia in 1943 and originally imprisoned in January 1972 for actions relating to his political involvement. With an extraordinary thirty-plus years spent in solitary confinement-including the past twenty-three years continuously-Maroon’s case is one of the most shocking examples of U.S. torture of political prisoners, and one of the most egregious examples of human rights violations regarding prison conditions anywhere in the world. His “Maroon” nickname is, in part, due to his continued resistance-which twice led him to escape confinement; it is also based on his continued clear analysis, including recent writings on ecology and matriarchy. THOUGH MAROON WAS RECENTLY TRANSFERRED to a lower-security correctional facility in Central Pennsylvania, he IS STILL HELD in a SOLITARY CONFINEMENT UNIT. It will take a mass, grassroots movement to free this inspiring community activist. Part of the momentum for the campaign will come from a book tour taking place during this period, promoting the newly-published “Maroon the Implacable: The collected writings of Russell Maroon Shoatz.” But it is up to everyone concerned with human rights anywhere and everywhere to spread the word far and wide, to make these 30 days count–for an end to solitary confinement and an end to the torture of Russell Maroon Shoatz.